I’m trying to find a lesson that covers “Will” and “want to/would like to” but wasn’t able to using the search. If anyone could point one out for me, or help explain this i’d really appreciate it. I am going to the store today vs I will go to the store today vs. I want to go to the store today. There are somewhat subtle differences in English so I want to know the best way to use the verbs to express these things in Chinese. Welcome to ChinesePod! I see you just joined us about five hours ago. The best way to solve confusions such as your’s is to simply be exposed to as many ways of saying or expressing this need as possible. There are many ways to use the word “要” and “想要”. If you’d like to search for any lessons on ChinesePod, there is a search bar under “Lessons” on the left of the page when you are on the ChinesePod Dashboard (https://chinesepod.com/dashboard). There are MANY lessons that include “want”. I would recommend you look around the site some more and try out all the search bars. It takes a little time to get used to it. You can type in variations of what you are looking for by using Google Translate to help you. Thanks for the reply! I’ve actually had ChinesePod for a while but just joined the forum today haha. Do you know if there is any good rule out there for 要 and 会 for ‘will’ and ‘want to’? Or is it just exposing myself to a lot of the expressions to get a feel for it? Thanks for those links I will check them out! I believe you have the definitions mixed up, Mike. I would practice more with those expressions. Try to find as many lessons that use those phrases as possible. They are very common. Some good tools to use include Google Translate and Arch Chinese. Also… I think these expressions are in the Elementary or Newbie sections. I would maybe go over more lessons in those sections before jumping over to Intermediate. It’s better to learn and spend more time on the easier ones, they go quick, than jumpping over to the harder lessons and spend 10000 hours trying to figure them out. This is from personal experience. I once jumped over to the Media lessons when I wasn’t ready for them yet. Those links were from the search from the search bar. I use that search bar a few times daily. 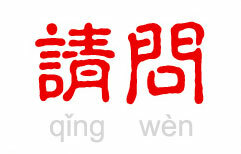 Hui in this above sentence surely means “will”. By “can do something” I really meant to say “know a skill”. I watched a lesson that said sometimes 会 is used when something will happen. But yeah I totally get what you’re saying. I guess I just need to study more. I did go to China for a semester to study Mandarin and I can have decent conversations, but the thing that always confused me was using 要 and how to express differences in “will do” and “want to do”. Maybe i’m just slow on that part haha. I found something that may help you, Mike. Look around for “indication of the future”. It describes the use of both words very well. If you can, grab a copy of this book and take a look. It’s really good at describing many instances such as these. You can probably find it used for a few dollars since it’s been around for a while now. Thanks for that! I’ll try and find that book. Really appreciate all the help! You Can and Will Use 会 (huì)! If you’re looking for a specific topic on ChinesePod, using Google search is often the best way. Those lessons are what I was looking for! Thanks Gwilym, much appreciated!